What's Blooming at Garvan Gardens? What’s Blooming at Garvan Gardens? 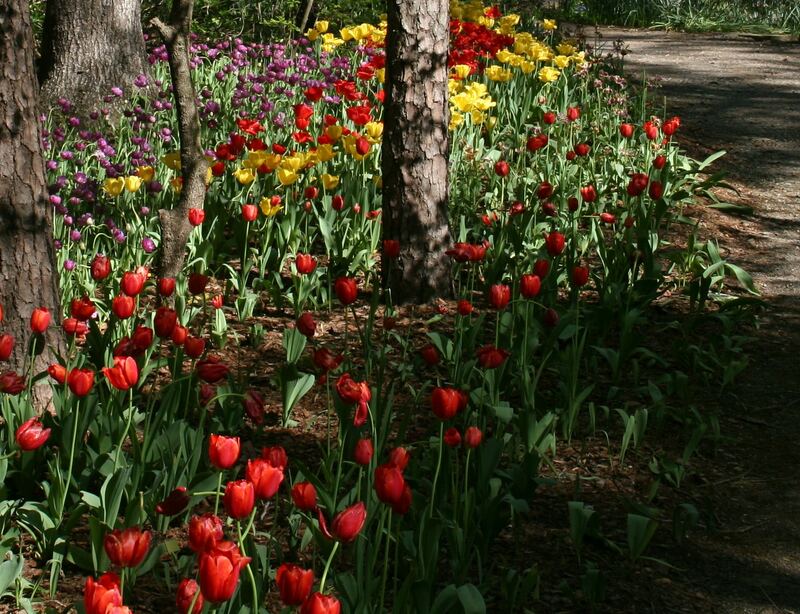 Daffodils, hyacinths, and tulips are blooming in Hot Springs, Arkansas! 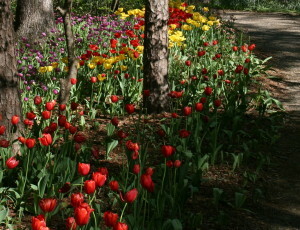 It’s the Tulip Extravaganza at Garvan Woodland Gardens! Over 148,000 bulbs are putting on their spring show. We had a late burst of winter in February and March, so the daffodils are still making their presence known. Hyacinths are also popping up, and the tulips will be next. You can also catch camellias in bloom, as well as star magnolias. Once the tulips have blossomed, the azaleas and dogwoods will take their turn. Located on a 210-acre peninsula on Lake Hamilton, Garvan Gardens is a botanical garden in a woodland setting. Visitors will find such architectural features as the Bridge of the Full Moon, and Anthony Chapel. Various garden styles are set in different areas: Garden of the Pine Wind, a nature preserve, and the Children’s Adventure Garden (which isn’t just for kids!). Garvan Gardens is open daily from 9a.m. to 6p.m. Admission is $15 for adults. When planning your visit to the gardens, consider staying with us. We’ll treat you to breakfast at Tiffany’s before you head to the gardens, and at night, you can return to our super comfy beds for a great night’s sleep.